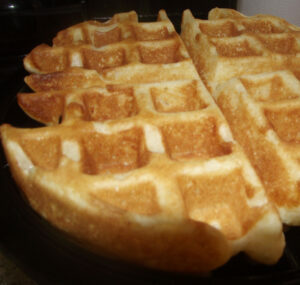 It’s become a tradition in our home that on Sunday mornings I make homemade waffles. 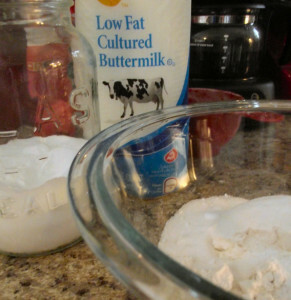 Every week my husband is sure to ask if we have enough buttermilk in the fridge in anticipation for our Sunday morning waffles. 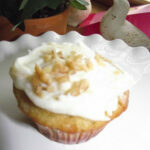 I have tried a number of waffle recipes and these from Martha Stewart are by far our favorite. 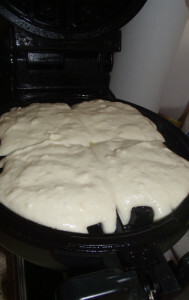 I usually halve the recipe below, and in my round Bella Rotating waffle maker (which I absolutely love) the half recipe makes two big fluffy waffles. 2017 Update: With three kiddos I now double this recipe! 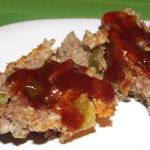 Preheat oven to 275 degrees; set a rack on a baking sheet, and place in oven. For the fluffiest waffles, don’t overmix — there should still be some lumps. Heat waffle iron according to manufacturer’s instructions; brush with oil. 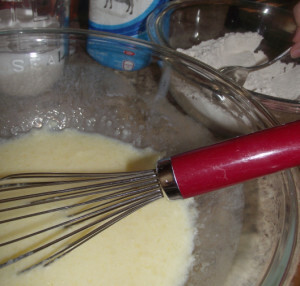 Pour batter onto iron (amount depends on iron size, I use a 1/4 cup per waffle section), leaving a 1/2-inch border on all sides (spread batter if necessary). Close iron; cook until waffles are golden brown and crisp, 3 to 5 minutes. Transfer to rack in oven to keep warm; repeat with remaining batter.